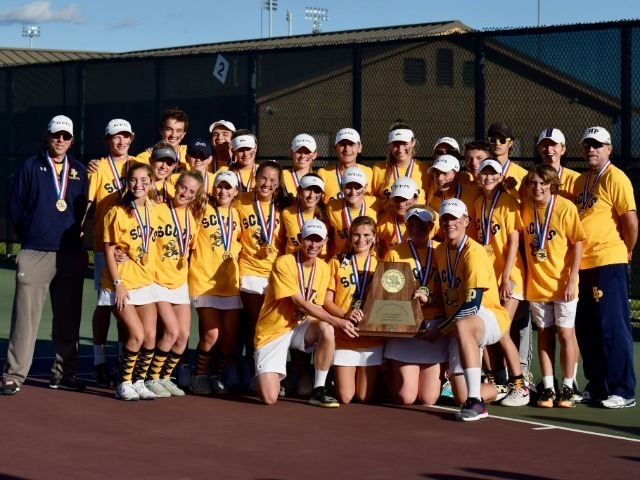 The Highland Park Scots tennis team defeated Abilene Wylie High School 10-1 to capture the 2018 UIL 5A state championship. It is HP's 19th time to win the state title, its third in a row, and its 31st consecutive trip to the state tournament. The Scots defeated College Station A&M Consolidated 10-1 in the semifinal round earlier in the day to advance to the state finals.